Series about British amateur naturalists looks at fans of reptiles and amphibians, including an enthusiast who has turned his garden into a lizard empire. The amateur naturalists are hot on the trail of cold-blooded animals. Reptiles and amphibians are often thought of as slimy and creepy. They're hard to keep a watch over because they're hard to see. But for the dedicated few, it's well worth the effort. 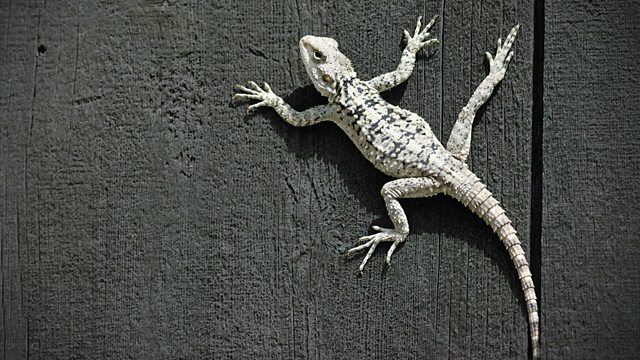 One enthusiast has turned his garden into a lizard empire, all with the aim of helping sand lizards back from the brink. Another has turned sleuth, keeping an eye over her local woodland for Britain's most feared wild animal, the adder. One couple have transformed the landscape to create a home fit for the king of newts. And one man stalks the dank marshes at night to hear the melodic chorus of his own population of toads. The naturalists' passion for these elusive wild animals gives a window onto a hidden world. This programme shows why it's surprisingly easy to get hot under the collar about cold-blooded creatures.